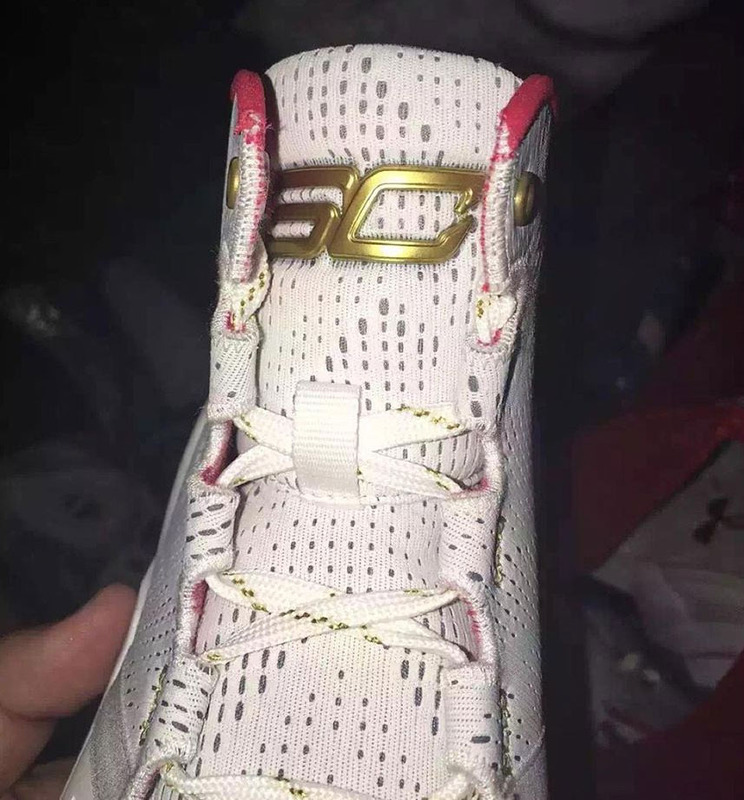 While some have speculated that this new Under Armour Curry Two is a championship shoe, the inclusion of red and navy in the scheme makes some kind of "USA" tie-in more likely. The same trio, albeit arranged differently, also appear on the "Floor General" colorway. With multiple holidays and the Rio Olympics in the coming months, there's plenty of reason for more patriotic flavor. This cleaner version is white-based, accented by metallic gold and a red interior. Below sits a white midsole with navy details visible through a flaked translucent outsole. 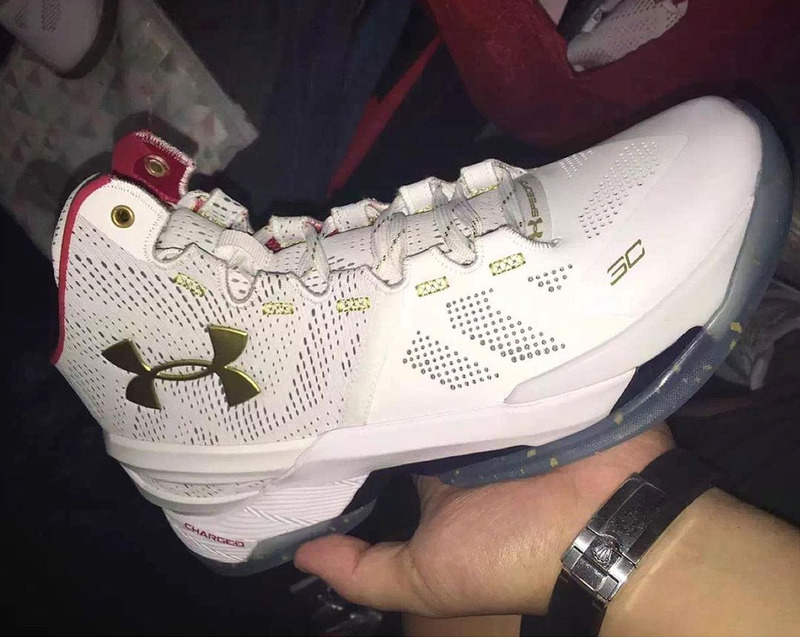 Keep it locked while we await more information on this new Curry Two, including a sneaker release date.